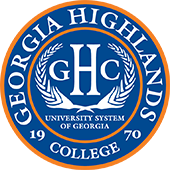 The Diversity and Inclusion Committee of Georgia Highlands College welcomes you to our newly created webpage. Please take some time to enjoy the images and stories that we have captured here. Navigate to the the Diversity and Inclusion flip-book and view the wonderful range of events, organizations and experiences that are happening around our school. Also, we are very proud of our Share Your Story videos and storyboards. Individuals within our college community came together for a fall gathering and shared their stories with each other and now we have the honor of sharing them virtually with you. Please enjoy these pages and consider how you can become involved. We welcome you to be a part of anything that appeals to you across any part of the institution. Please see our contact list and reach out for more information on anything of interest.